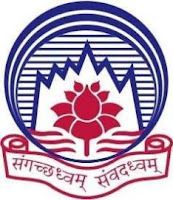 ASCI Notification 2019.Administrative Staff College of India (ASCI), Hyderabad has released a notification for the recruitment of Associate Professor and Assistant Professor vacancies.Check the eligiblity and notification prior to apply for the positions. Department: Human Resources Management, Procurement, Operations, Materials & Project Management and Information Systems, Finance, Technology Policy, Management and Innovation Area, Information Technology. Qualification: Post Graduation, CA, Ph.D with relevant experience. How to apply: Candidates may apply with enclosing Curriculum Vitae in the prescribed format for Faculty with three references by Post/Courier to- The Registrar & Secretary, Administrative Staff College of India, Bella Vista, Raj Bhavan Road, Hyderabad. Last date for receipt of applications: 27.03.2019.